The City of Boulder voters narrowly approved a referendum to proceed with planning and negotiations to replace Xcel Energy, their long time energy supplier, with a new municipal utility. This follows months of increasingly acrimonious sparing between the two made worse by the failure of the SmartGridCity demonstration project where the cost of installing a fiber optic system to enable the system got out of control. Supporters argued that Boulder should do more than Xcel Energy is doing to enable clean renewable energy and reduce emissions. Colorado has a 30% renewable portfolio standard by 2020 consistent with Colorado law and Xcel Energy is on track to meet that goal. Boulder voters did the easy part authorizing the study of the feasibility of a municipal utility—but that does not necessarily make it so. They taxed themselves an additional $15 household per year to cover legal and consulting costs, but anyone who has been in contentious litigation knows how costs can add up with those ‘1%’ lawyers (“Occupy-speak”)with high billing rates working feverishly for the ‘99%’ client who is passionate about the cause but clueless about what it will take to achieve it. 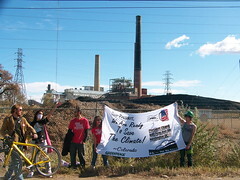 For Boulder this is sport, for Xcel Energy this is an existential threat. Which side do you think will quit spending money first? Creating a municipal utility is a lot different than actually having one. What Boulder residents believe they are trying to buy is the ability to have a complete utility to serve their energy needs. But in municipalization debates what the city typically acquires is the local distribution system—the wires that connect homes and businesses to the power grid. But wires merely deliver the energy and Boulder could put solar panels on the rooftop of every building and still not have a functional utility. Why? The answer lies in physics and finance. Power is produced and delivered instantaneously and the power grid must be in continuous balance or the lights go off. Boulder voters likely did not envision condemning or buying voluntarily any of Xcel Energy’s coal fired generation or even natural gas fired generation to balance their needs. The reality is running a power system is not something you do in isolation—we do so in community and the bigger and more diverse the community to better and cheaper it is for all. Arguably, creating a municipal utility for Boulder will be expensive—a lot more expensive—than sitting down with Xcel Energy and finding ways to add more renewable energy and energy efficiency to the Boulder system. But someone in the WECC would be happy to play ‘Get Shorty’ and sell Boulder capacity and energy to balance its unstable municipal system at a high marginal price just before the lights go out on Pearl Street. Be careful what you wish for—your smart grid future draws near. Living into the promise of smart grid to enable more clean renewable energy to get to market, change from average cost pricing to dynamic pricing to send a clear price signal to customers to encourage conservation, and adapt our businesses, homes and lifestyles to a more digital future is going to be here someday—-but will we realize the promise of smart grid?. That depends upon decisions well beyond the pay grade of Boulder residents. Will we build more interstate transmission to bring wind from Wyoming to Boulder or solar energy from Arizona? Or will Boulder put solar panels on every roof creating distributed generation resources and microgrids to supply its energy needs. It sounds good but it requires Boulder residents—-the same residents who complained about SmartGrid City—to create their own Smart Grid City and bear all of the costs rather than socializing them and spreading them across the entire Xcel Energy ratebase. This decision to municipalize has been more about politics than economics—but economics will eat Boulder for lunch. Smart grid’s potential requires scale and not even Xcel Energy is big enough to go it alone. Smart grid is driving the consolidation of vendors and suppliers to serve large mass markets. Fragmenting energy delivery even more is going the wrong direction. So it appears that both Boulder and Xcel Energy will spend a lot more money trying to make this political problem go away than they would have spent settling their differences and creating an agreed framework for going forward. How long will it take Boulder voters to figure this out—-$30 per household per year; $45 per household; $250 per household per year? Dear Boulder resident: Please send a signed blank check—the lawyers will fill in the amount for you—-in the enclosed envelope—don’t forget to put postage on it. You tell me—who is Beavis and who is Butthead. Previous Is Entergy joining MISO like Kissing Your Sister? Thank you!!! Your comments gave me an LOL moment. Having watched this evolution, up close, a few years ago,and quickly distancing myself based on knowing both sides of this wrestling match very well has made me grateful that I can still drive through the beautiful city of Boulder without a tinge of stress. Around here, we’ve always called Boulder 30 square miles of land surrounded by reality. Fortunately, I live on the opposite radial of metro Denver. Colorado, In general Colorado, politically, has been a demonstration of Big Green Hats with some cattle and a huge number of frogs that will never become princes, No matter how much money or press we throw at them. The Boulder area has become a haven for “innovation” (Mostly frogs) as well as a good address for many large renewable energy companies. Fortunately for the rest of us they are so busy finishing the disconnect from reality that we are not impacted. Not to say that there are not nuggets of gold, but it is hard to sort from the tons of iron pyrite. Thanks for the feedback. For eight years my corporate headquarters for Global Energy Decisions was in Boulder so even though I live in California I got to know the place well. They have good aspirations and technology is improving the odds of achieving them with falling prices for solar panels, microgrids, demand response and other technologies. But Boulder was also the ‘lab rat’ for Smart Grid City and thus should realize more than others how difficult and costly it is to change the energy infrastructure and habits of a hundred years of average cost traditional regulated utility business models. But as you say they are putting their money where there mouth is. I suspect those 1% lawyers are also rejoicing as the “99%” of Boulder voters put many of the lawyers kids through UC-Boulder without student loans. I doubt that is the wealth transfer Occupy Boulder has in mind. Pingback: Smart Grid History: The Bad, the Good, and the Revenge of the Customers « Zap! Crackle! Pop!